Application Properties helps us to perform different tasks to deal with Excel Workbook Applications. 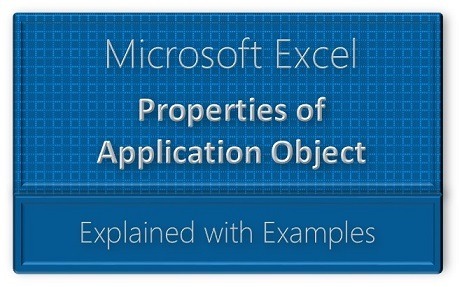 For example, we can assign name of Application on the title bar or find the path of Application or sets the name of the user etc.Explore the various Properties and examples on Excel VBA Application properties using side navigation. Below are the most frequently used Excel VBA Application Properties.